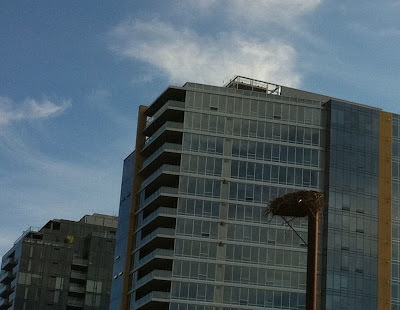 Join the South Waterfront Birders Group on Wednesday evening for "Ospreys in Oregon", a talk given by osprey expert Dr. Robert Grove. 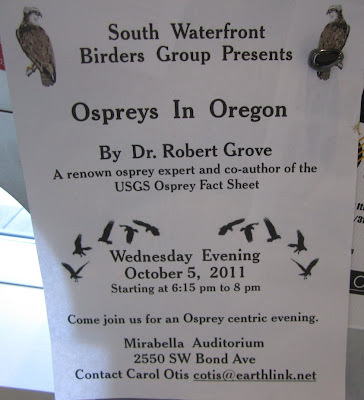 Grove co-wrote the USGS fact sheet on ospreys. Carol & Roger will be presenting additional information and videos of our very own South Waterfront osprey. The talk will take place at the Mirabella Auditorium at 6:15pm.